Nothing so nefarious as that, I figured that the last ten years plus the imagined “20 year cold trend” would get me to 30 years (the widely agreed upon period of time for trends in climate to be meaningful). This was worse than disappointing — as was Chu’s stated support for “acclerating” massive taxpayer subsidies for nuclear power. It suggests that despite the rhetoric coming from Obama and Chu about the urgency of reducing CO2 emissions, they will in fact pursue a pretty much “business as usual” energy policy that puts the profits of politically powerful industries (coal and nuclear) ahead of actual energy and climate concerns. It is astounding how Alan Neale (40) can get so much about the media, political bents, and most of the other stuff so bass ackwards. Are you actually watching and objectively assessing media? Liberals want an open fair and balanced discussion? Kinda like Jim Bouldin wants skeptics subject to slander and libel laws? Or others, including Hansen, want them imprisoned? You must be joking. #48 – Do you honestly expect the “ordinary” people to accept all claims by the scientific community as if it were a divine message? Just because someone isn’t a formal scientist does not mean that they cannot contribute to science or be critical of it. Micheal Faraday is a great example of a “ordinary” person who changed the world of physics. It’s unlikely he will ever be considered among the greats of science, mostly due to him not being considered a formal elite, but his contributions changed the world forever. Science is not an argument, it’s not a debate, it’s not a meeting between world leading scientist who make claims, it’s simply evidence. I don’t give a hoot if Albert Einstein rises from the grave and declares mankind and it’s responsibility for global warming. Unless Albert can produce incontrovertible evidence, then it would be Albert’s opinion not science. There is a ton of variables at play when it comes to climate. The sun, orbits, nature (including mankind), ocean currents, water vapor, seismic events, and everything else under the sun. If mankind had never entered the industrial age, would we still have a climate change? What evidence do you have to suggest one way or another, what mathematical proofs? At the present time there is more questions then available evidence. Until that changes, this topic is very debatable about what the implications are of mankind’s activities. This discussion reads like a POLITICAL blog and NOT a Scientific one…. 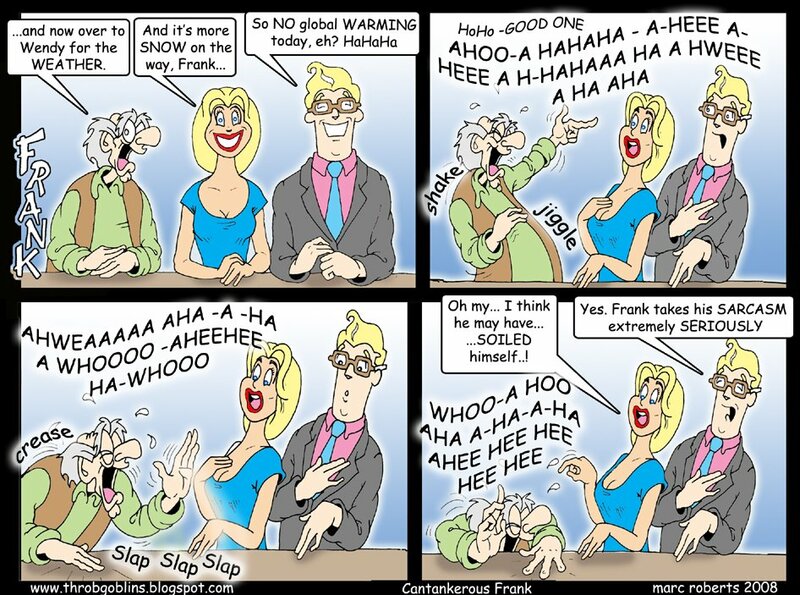 What a shame….I came here to read dicussions regarding the Science of Global Warming and all I see here is name calling and political bickering in the guise of science….again…what a shame…! Real Climate (thanks guys! You are making a difference)…not that its poor quality wasn’t obvious even without it [Note to Pravda: If you’re going to claim that the Co2 levels of 325,000 years ago were higher than today’s, don’t link to the ice-core data which proves you are lying :)]. From the comments on James Hansen’s Blog and on the 2008 Temperature Summation report on the GISSTemp page, it appears the GHG warming trend has been reduced to ~0.15C per decade from the previous estimates of over 0.2C per decade. Perhaps you’d like to comment gavin. JB, I would suggest you look around a bit at some of the postings before you reach a conclusion. Start with the “Start Here” button in the upper right hand corner. The thing you must realize is that many of us will be hearing from friends and relatives about the crap CNN has been running. For me, since I don’t watch TV, this is a useful post, as now I have some idea and will be prepared to dispel some the the misinformation Dobbs et al. presented. There is no evidence because if there WERE evidence, then I would be convinced. But since I’m not convinced, there is no evidence. Oh and gavin, your reply to #34 is incorrect. Fox (I think) got away with misinformation by arguing that they didn’t have to tell the truth! They got away with saying that and got off the charges!!! It doesn’t work very well to have a broadcasting standards like we have here in the UK since there is still a LOT of disinformation. However, we DID get that load of cod about the Great Global Warming Swindle nixed. The papers didn’t bruit about it much, but there’s not going to be a repeat performance. A broadcasting standard exists in the UK and doesn’t in the US. I don’t see how this is a dead end. It DOES work and it shouldn’t be impossible. How many people will bother with a station that goes against such a statute? “I don’t want to be forced to tell the truth!! !” isn’t going to go down well in public. JB, #55. So don’t read this thread. Read one of the other ones. Or if none of them are scientific enough for you, subscribe to Nature. lulo (29) — You managed to get it all wrong. I suggest starting with the “Start Here” link at the top of the page. Re #53, the liberal media want it debated, it is how they want it. The right wing guys just want to flood their world with a load of lies essentially and hence roll out the usual load of garbage and the usual deniers who spout the same stuff over and over. I know the media and read all of the UK newspapers everyday online. RC got it bang on with the Daily Telegraph and the little hitler version the Daily Mail is not worth mentioning an it rants on in a meaningless way. The other media in the UK including the Independent and the Guardian have at times over sold the AGW message and thats intolerable too but relative to the DT they have been far more balanced. Re #54, You make it sound as if the scientists do not know that. You only know it because the scientists knew it first. Your ranting to be fair an demonstrating a typical arrogant sentiment. The fact that you mention the word DIVINE makes me thing, oh here we go. This person is just taking the it aint hapenning angle because it does not fit in with his world view. Shame really as there is plenty of evidence and not a jolt of it from God. Gavin answered well. I never said anything about libel towards skeptics. My comment was in reference to deliberate misinformation of well established data or concepts, and/or misrepresentation of the breadth and strength of scientific evidence by the media. Your question is important and gets at the heart of why climate models are so vitally important. To the degree that they can accurately describe the essential physics of the climate system, they are able to provide probabilistic answers to exactly that type of question (and others), via model experiments, in which various forcings and model parameters are systematically varied to see the outcome. Without them we are indeed left with the hodgepodge of possible causes you list, and no systematic way to evaluate them. This is typically the case with any system that is not amenable to manipulative experimentation, of which there are many. you misunderstand… the political arena is distorting the science and so at some point us scientists, especially climatologists (but all scientifically literate and responsible persons) must respond back. We must illuminate the disinformation with real information ccoming from data, but we must also respond to baselss allegations about a so called “debate,” over whether there is global warming and if human activities influence it. Is Jim Hansen a climate scientist? I thought he was a physicist. Someone please clarify, thank you! The issue about the Arctic icecap melt is one of physics of phase shift. The cold \weather\ is from all the melted ice. A lot of energy is required to convert ice to water; It is the physics of that shift which consumes energy. Then the global warming increases after there is little to no melt. This may take a while, during which there is cool \weather\, but the aftereffect is no buffering from ice, just seasonal wide variations, and true warmer weather. Funny how the “heat waves” of 2003 and 2006 are considered evidence of global warming (climate change) but “cold waves” of 2007, 2008 and 2009 (respectively) are just “weather”. Hypocrisy much? Maybe not so much you Gavin (however, have you actually used the term Cold Wave?) But, jeeze, just look at the previous 2 posts 65 and 66. Just do a basic search on your site to come up with plenty more examples. Cold periods are almost always referred to as weather (or cold snaps) and periods of heat are “heat waves”. If nothings else, as this is your site, why not push for consistency in nomenclature? Mark (59) A broadcasting standard exists in the UK and doesn’t in the US. The difference between the US and the UK is our founding fathers thought it necessary to include Freedom of the Press in our constitution to protect the fee exchange of ideas. The obvious problem with a statute that requires the media to tell the truth is you then need an arbiter of what the truth is, and the problem with that is who gets to choose who is the arbiter. Keith # 64,most climatologists are physicists, meteorologists, and/or mathematicians/chemists. Many have several degrees in different disciplines. There are specialty classes one can take, post graduate and post PHD training in the workplace and through internships as well, but a climate scientist is not one who has degrees in “climate science,” per se. For example my graduate degrees are in Biology and Chemistry, (with an emphasis on physical and organic chemistry,) but I have an undergraduate degree in physics and I have taken many courses in Geology, Earth Science, Meteorology, Oceanography etc…However, the basic tenents of weather and climate obey the laws of physics and can be mathematically modelled with great accuracy. It takes more than just one scientific discipline to model climate, peer into the distant past or paleoclimate, and understand where it may be headed. cw00p, is this concern trolling? Because if you looked up the terms you’d understand them. You’re misunderstanding something fairly basic about how weather changes. This has been reflected in the English language for along time. Do you know what a “cold front” is? Have you ever heard of a “heat front” from anyone, anywhere? Do you know how temperature changes over time when a frontal system passes and the wind direction changes? Look at the direction of the air movement around high and low pressure regions, and how the wind changes as the boundary between them crosses a measuring point. A “cold snap” is a rapid decrease in temperature — a rate of change — typically when a fast-moving cold frontal system crosses a measuring site. A “cold wave” is a long period of cold weather. Active warm fronts are generally located in pressure troughs on surface charts. See figure 10-8. The troughs are not as pronounced as those observed with cold fronts …. Gavin (53), Bouldin clearly would like to ease the proof of libel or slander so Dobbs and the like can be silenced easier, which is not exactly supporting open discourse as Alan professed. Secondly, there is little evident doubt that a bunch of AGW supporters would be quite happy with the skeptics in jail which again hardly supports discourse, per Alan. I did very slightly exaggerate Hansen’s position (which I thought justified trying to overcome Alan’s preposterous claims), but, given his situation, even a slight exaggeration could become a gross injustice, so I’ll retract him as an example. Gavin, an aside, I recollect vaguely reading somewhere that one reason early climate modeling was doable was that very large ‘grid’ scales worked, because of the realization that temperature change occurred as fronts passed, oaver rather large areas. It’s a loose end I can’t nail down, but just to the point that actually understanding the difference and how these frontal systems behave does matter. If you can explain to me how this weather is causing more melt, I’m listening. Ray Ladbury: I acknowledge these policy positions and must say that, as an active member of two of these societies, I was frustrated when these positions were adopted, even though I tend to agree on the fundamental basis for the theory. Alan (61), well, if you’re talking of just the media, which is not at all clear in your first post, then I would agree that they do relish an open debate; or any kind of debate for that matter; as does the conservative media. Mike: No. No arbiter is needed. Honesty is the best policy. Let the press be wildly free, with reasonable articles and extremist articles on both sides of any issue. Give people some credit to be able to sort through the facts. If Big Server server continues to allow allow electrons from mercury and sulfur to contaminate the internet’s vital bodily fluids, epidemic web autism may reduce RC to sounding like , well,Fox TV. it’s a wonder Singer and Avery haven’t gotten around to blaming the arctic trend on auroral warming by heavy metal ions in the solar wind. But then, it’s two months till the next Heartland potlatch, so stay tuned telluric currents fans–they’re still out there . Great Post! I agree, the lack of civility and condescending attitude to those who disagree with the gospel that humans cause 100% of the last few decades of weather patterns, is sad. In looking at, plotted temp data, from GISS, NOAA, UAH, RSS and CRU, there seems to be some discrepancies as to the temp trends. In my opinion, the best source seems to be UAH and RSS, in that there is less “tampering” of the information. While some may dismiss, ICEBERG and others, they do raise some inconvenient items, primarily as to the validity of a number of weather station’s data, and the “enhancement” that goes on. These situations seem to be in 900-1000 year periods. As for my being “qualified”, my grad and post-grad work included some of the best Heat Transfer professors and authorities in the world. I have been involved in math modeling for over 40 years, starting with the X-15. This included analog, hybrid and multiple digital and parallel systems. Also responsible for evaluation and testing of horizon scanners in the near to far infrared spectrum. A significant portion of this work was in design, modeling and evaluating thermal systems (radiation, convective including viscous flow, and conduction) in 3D. That means models had to be verified in the real world, and you had to “sign off” on your deigns. One final note, was back when the Army was about to launch the first satellite on a Redstone missile. At one of the science club meetings on campus, the world’s foremost authority in Heat Transfer quipped “Now we see how constant the solar constant is”. J. Bob – of course there are descrepancies in temperature trends from Giss, Noa, Uah, Rss etc etc, they all use slightly different data and methods. So, strike one. I don’t know a huge amount about this, but on the topic of stations being on the wrong surface etc etc, but I recall reading that someone at Watts place had compared temperature results from stations that they said were “good”, with those that were “bad”. Oddly enough they were almost identical. Or in other words, nobody has yet shown that it is really making much of a difference. As for migrations, they are irrelevant. We also have more vineyards growing further north in England than at any other time in history, and some people are predicting them by loch Ness by the end of the century. If you do have all that knowledge and experience, I look forwards to you actually applying it. Have you read very much about climatology? It would be interesting indeed to see a reasoned and detailed response to the points that D’Aleo makes in his response to your comments regarding the CNN interview. To this lay person, he appears to make some compelling points. This is an opportunity for you and RC to demonstrate your objective scientific capabilities. Alternatively, if these issues have already been adequately addressed, perhaps you can point us to appropriate commentary/sources. Also, I cannot help but observe that, for whatever reason, the snide tone you adopt in the quote above serves only to diminish you and your cause. We lay folk are looking for professionally done and competent science. Well J. Bob, so where did you find any climate scientist had asserted “that humans cause 100% of the last few decades of weather patterns”? Are you seriously accusing GISS of fraud (tampering with data)? The rest of your stale denialist talking points have been dealt with numerous time here. Try putting that background to work at educating yourself about climate science. To refer to “playing the PhD and pubs card” seriously trivializes the scientific method. That has what has worked for science for centuries. Always has, always will. And yes I was referring to radiative transfer. But if you want to keep it simple, try conservation of energy. As those physicists if they have any other theory that can come close to explaining the warming trend of the past 30+ years. Better yet, have them publish it. We will wait. Also, recall that Chu has to get through the approval process. A little bit of fancy footwork is de rigeur. That’s a prize-winner, even stopping at that point. No need to read further or ask where you get this stuff. This doesn’t surprise me; especially the ‘Pravda, of all places’ bit. You see, I did a little ‘study’, in 2002, of the content and accuracy of The ‘Post-Patriot Act Era’ U.S. T.V. News. After viewing an ‘average’ CNN and Fox News Hourly News Program, I then compaired their content and accuracy to The BBC, DW, TV 2 (France), and – of course – Tass; and – much to my astounded ‘Ashamed American’ amazement – when using these reputable European News Sources as a kind of ‘Thermometer’, Tass was MORE ACCURATE and provided GREATER DETAIL in their reporting of ‘Important to Intelligent Politcally Active Americans’ Itemes like Afghanistan, Iraq, The (then) Impending Global Economic Meltdown, etc.. I LIKE Glasnost (sp)!!!! We could use a little more of that HERE, in The U.S.!!! These  (in The White House, etcx. ; THOUGH NOT FOR MUCH LONGER) have had me feeling like the proverbial ‘Rat on the Sinking Ship’ for decades now!!! Straw-man arguments are especially poor and obviously so. I have never seen here, nor in any leading scientific publication or even letters, the claim that “humans cause 100% of the last few decades of weather patterns”. Ever. However, as evidenced by your post, I do see many of the denying populace project that belief onto the scientific community. Your graduate and post-grad work is irrelevant here. You are just not being honest. Those global data sets are contaminated by the fact that two-thirds of the globe’s stations dropped out in 1990. While I know, that this drop does not significantly affect the temperature trend, I was unable to find the reason for this drop. What happened? Were stations actually shut down, was just their electronic reporting canceled, did funding drop, …? Just curious. Aside: “cold snap” is an Americanism. Hank (73): I appreciate your response. Yes, I’m aware of the difference. My point being that “heat waves” have, of late, been considered as evidence of global warming. How often have you seen this quoted in the press and in academic materials (especially the “heat waves” of 2003, 2006), yet this rather long period of cold (going beyond a “cold snap”) is never considered to be more than, as you put it, cold fronts (weather). The important distinction I make is that “heat waves” get treated as evidence of climate change, and “Cold Waves” (a rapid fall in temperature with a 24 hour period requiring increased protection to agriculture, industry, commerce, and social activities); are treated as anomalous’weather’ occurrences. And yes, I was a little snarky in my original post to gavin, my apologies. Don’t the warming oceans shoot down all of these UHI arguments? Is there a theoretical or model-derived ratio that would suggest an expected land warming based on a known ocean warming? CNN is a business, like any network. There’s a sizable market for global warming denial, magnified by the U.S. political shift. They are likely to get higher ratings by promoting this stuff as opposed to boring objective science. There’s probably a variety of sources for vehement denial of the huge body of evidence on the issue. Ultimately, it comes down critical thinking – something I think should specifically be taught in classrooms. What I find is that most of the so-called climate “skeptics” are ironically not the least bit critical of the material they digest and repeat. I found a surprising number of people named as foremost authorities on heat transfer by googling the term. READ ALL ABOUT IT, 2008 IS THE 9TH WARMEST YEAR SINCE WE FIRST STARTED MEASURING WEATHER IN 1880! It is now official, the ten warmest years since measurements began 129 years ago have been within the past 12 years. We’d better act now to mitigate this sucker before it’s too late. All persons of the world can report to their civil defense units to find out how to turn off lights not in use and many other helpful measures. lulo claims that the UAH data over the Antarctic indicates cooling. But, probably lulo doesn’t know that the UAH TLT if flawed over the Antarctic, as I demonstrated some 5 years ago in a GRL paper (doi:10.1029/2003GL017938). Christy and Spencer still present data over the Antarctic, but RSS cuts off their data at 70S. Worse, the UAH TLT includes data poleward of 82.5S (the last actual data points), by interpolating over the pole. The MSU/AMSU data is contaminated by surface effects over the Antarctic due to the high elevations, which is the reason RSS excludes this area, as well as other areas with high elevations. J. Bob, you may be educated, but do you really understand? The claim that climate change did in the Vikings in Greenland ignores the fact that there is no conclusive proof that climate change was the cause. About the same time that the Eastern Greenland colony vanished, Iceland was hit with the Black Death, which killed about half the population. After that, there was lots of free farmland available in Iceland, which the Greenlanders might have taken advantage, assuming that they weren’t also wiped out by the Plague. And, you ignore the impacts of volcanoes, such as Kuwae in 1453, which would likely have been much worse than the effects of Tambora in 1815, which caused the “Year Without Summer” in New England and Northern Europe. Besides, Europe is not the world. It’s going to take more than turning off lights. Turning off lights got me the first 25% reduction in electric consumption. The other 50% took things like, buying a modern fridge, not having a giant huge computer sitting idle all the time (I now have three of them sitting idle most of the time, plus two laptops) and turning off those stupid vampire loads. Don’t have the current bill just yet, but in spite of using my space heater more (cold bathroom), electric blanket (cold feet), adding two more TVes and a new DVD player, DVR and two extra cable boxes, an electric motorcycle (lots of fun!) and other modern wonders, it’s looking like I’ve cut another 12 1/2% on top of the 75% I already cut. I checked the meter this morning and I’d used 205KWH in the past 25 days or so. And that doesn’t include what I made on the roof and sold back to the grid.